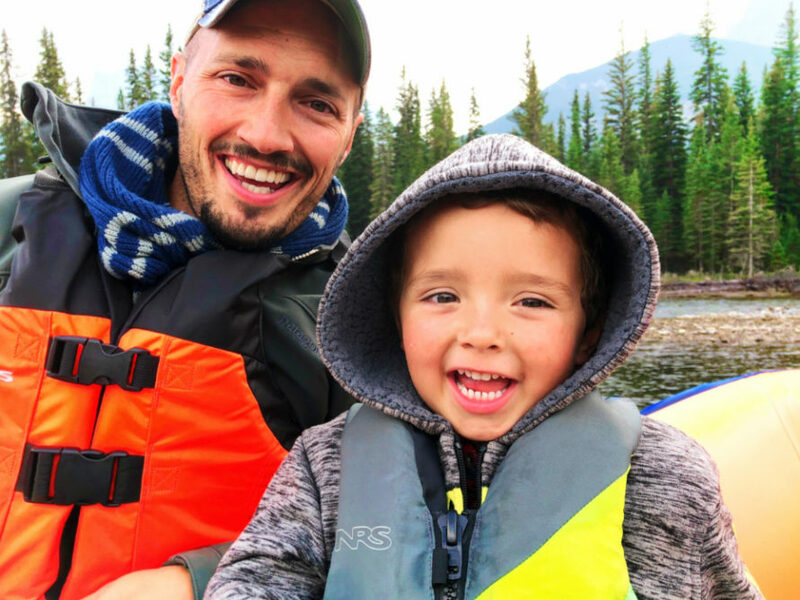 One of the most frequent questions we get about traveling as a family is how do we find activities that are good for all of us to enjoy together. 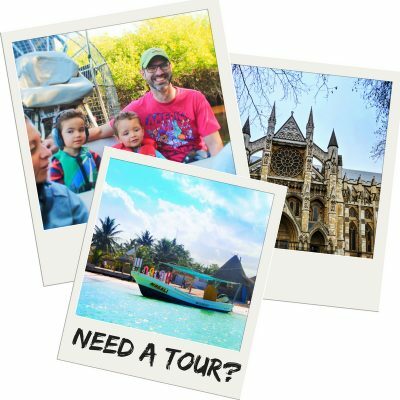 A close second is how do you find a good ecotour company. Well, we lucked out with our recent trip to Banff, Alberta. We discovered AdventureHub while looking for guided hikes and ecotours in Banff. Wow. 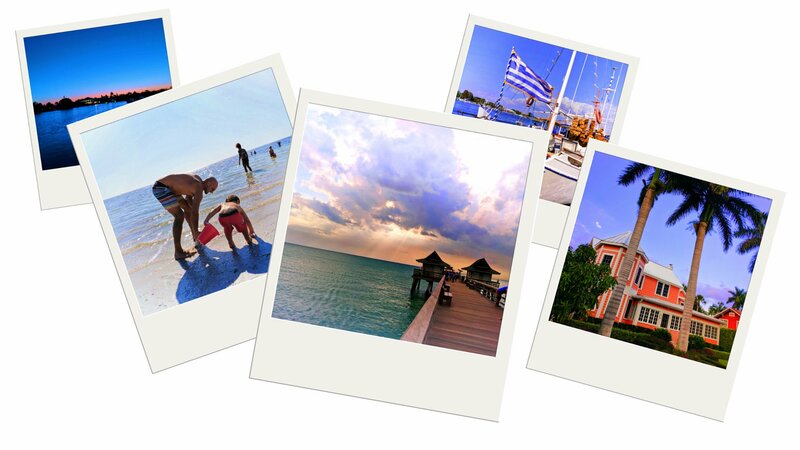 Every destination needs a resource or tour booking site like this. 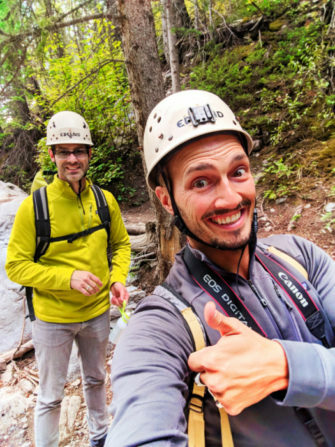 Quick disclaimer: we asked Adventure Hub if we could partner up to get the word out about their awesome concept and as a Banff ecotours resource, so they hosted us for our activities. Just had to officially make that statement, you know. 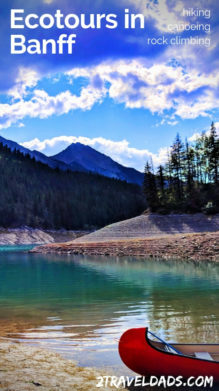 Being a well known destination that our grandparents would talk about and that we’d seen on vintage travel posters, planning a Banff itinerary that would get us all the views and all the fun seemed like a difficult task. 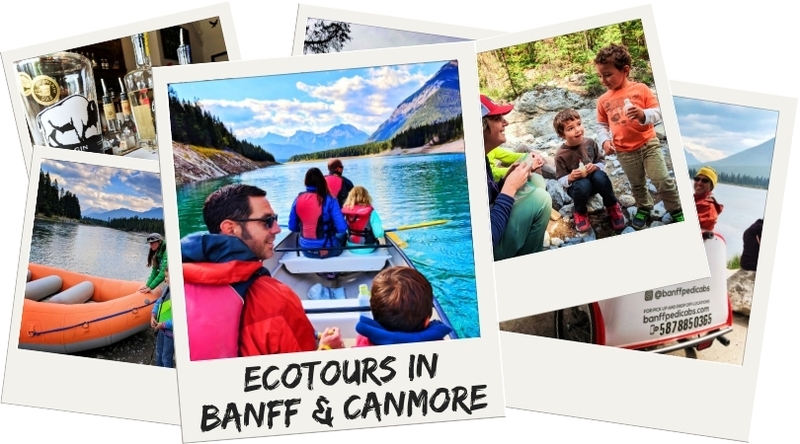 Since we were going to be staying in Canmore, Alberta we started by seeking out local operators for Banff ecotours, as low-impact travel is very important to us. 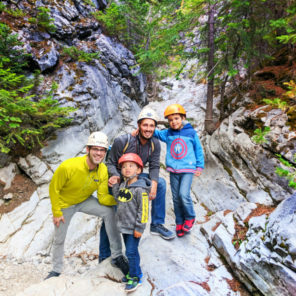 The first thing we found was Canmore Cave Tours… and then Kananaskis Outfitters… and then we saw that they’re all a part of this thing called Adventure Hub. Score! 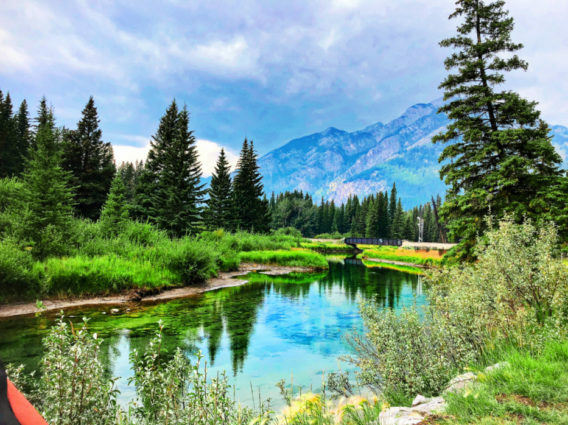 Once we understood the many options for outdoor activities in Banff and the surrounding area, we were excited to make our Banff itinerary. Adventure Hub is a collective tour site for ecotours in Banff and Canmore, Alberta. 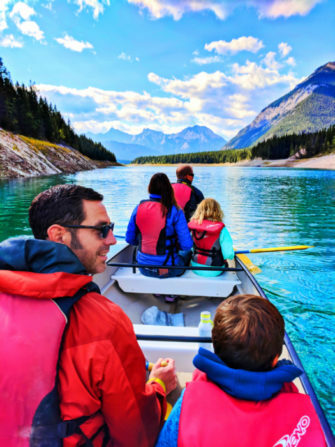 This means that you can go to the webpage and see what tour operators are vetted and a part of the Adventure Hub group, and then from there you can choose the activities in Banff that sound the most fun for your family. 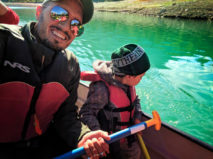 For us, we knew that we wanted to do some cave exploring, hike to some beautiful views or fascinating geology, get on the water, and whatever else was going to be fun a kid-friendly in Banff. 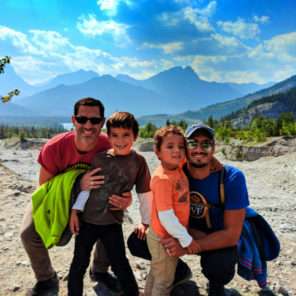 When I shared with Adventure Hub what our travel style is and what we enjoy, they took the reigns and crafted the perfect Canmore and Banff itinerary for us. Note: we travel often and our kids are really hearty, so we had lots of activities that kept us going. When you’re planning your own Banff activities, or anywhere for that matter, don’t over-plan or stretch yourselves too thin. Something else to think about when it comes to ecotourism anywhere, is to be sure that you’re being low-impact yourself. On any adventure, bring your own reusable water bottles, use eco-friendly sunblocks, leave no trace. Check out this great round up of eco-friendly items that apply to both daily life and travel products for ideas on how you can be eco-conscious at home and on the road. 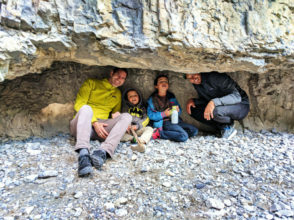 The first of our awesome Banff activities was doing the Discovery Hike with Canmore Cave Tours. What a perfect ecotour to start off our trip! Adventure Hub had arranged our times and meeting point instructions, so when we got to the tour office, they had all our info and were ready to take us up into the mountains. 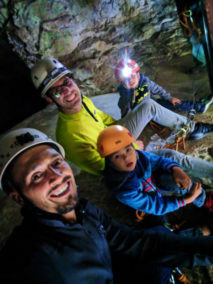 Our kids love hiking and they love learning about caves. We had an amazing time with Canmore Cave Tours. We hiked up through the valley and the hills with our super knowledgeable guide, looking for fossils and listening for wildlife until we made it to Rat’s Nest Cave. Yep, it’s called Rat’s Nest Cave. Named for the wood rate that drags plant matter and such into the cave to make its nest, it’s a cozy cave full of history… and bones… but I’m not going to spoil the cool surprises of this awesome ecotour. This hike is all about education and the environment, including preserving aspects of human history. Very “leave no trace” oriented. One of the highlights of doing the Rat’s Nest Cave hike was getting to put on our helmets and harnesses and scale the wall to access the cave. 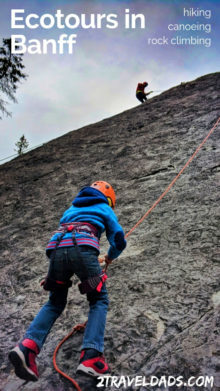 This actually turned out to be great practice for later when we took the kids rock climbing (another one of the great ecotours in Banff). 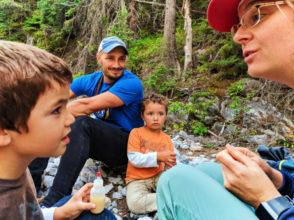 Even though Canmore Cave Tours is operating outside of Banff, doing a guided hike or actual full cave tour is a top recommendation when planning your Banff activities. 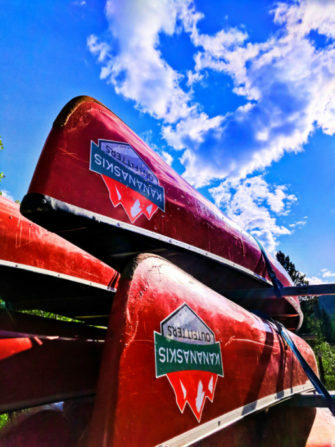 When Adventure Hub added canoeing to our Canmore and Banff activities, we were surprised. For all the kayaking we do we never have done canoes with the kids. Wow, it is so much easier than kayaking when it comes to small kids activities out in nature. They were able to paddle or just sit and it didn’t impact the rest of us. Adding canoeing to our list of approved ecotours that we love. Just to the east of Canmore, Alberta Kananaskis Outfitters runs canoeing ecotours on Barrier Lake. Although it’s a man-made lake, the water is just as turquoise and still as Lake Louise. The crew was ready for us (thanks Adventure Hub!) and got the kids outfitted for our adventure on the water. We went around Barrier Lake until we came to the start of it and loved the beautiful views and the turquoise waters. When we got to the shallows we actually saw moose tracks in the silt just below the surface of the still water. Really cool. We had time on shore as well to stretch our legs and take in the scenery. We even got to try our hand at using a strike fire starter and talked about safety and outdoor life. Kananaskis Outfitters was really great to go out with. The tour we did was very kid-friendly, both in tour length and ease, and we’d for sure recommend it to anyone with kids of nearly any age. The kids (and dads) loved it! There’s just something about fossils that kids (and adults) love. They’re fascinating! Add some ancient pictographs and you’ve got one of the most interesting hikes in the Banff area. 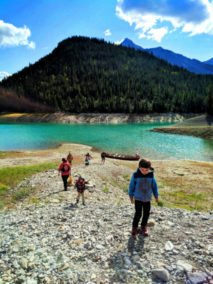 Adventure Hub knew that our kids are in that curious, science oriented age and booked us a guided hike with Earth & Pine Outdoor Inc, one of their Banff ecotours from the collective. Our guide for both our cave adventure AND our geology/fossil hike was the most incredible woman. Gabrielle is brilliant, passionate, and amazing with kids. From start to finish we were all engaged in talking about geologic history, plants and animals, and the biggest hit with the kids: fossil hunting. Never before have the kids paid such good attention. Score! 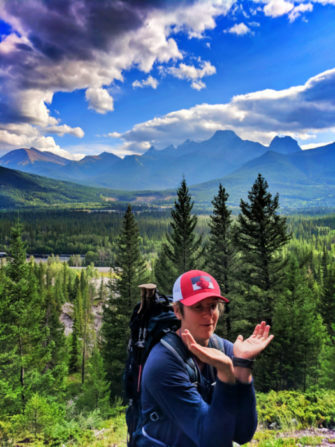 For our geology hiking ecotour in Canmore, our guide Gabrielle represented her own company, Earth & Pine Outdoor Inc, where she’s able to focus on sharing the science of the area unlike any tour guide we’ve ever worked with. 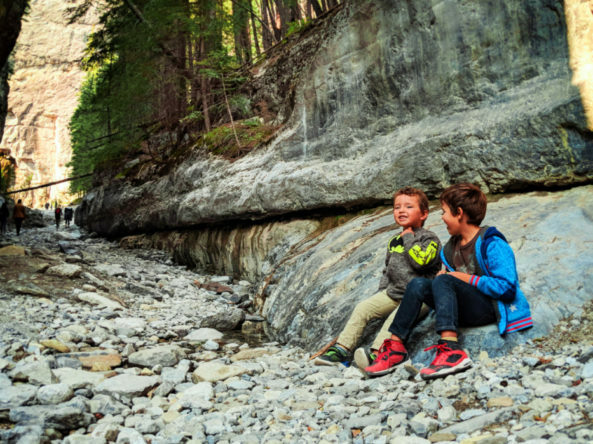 We hiked into the Grotto Creek Canyon and it was basically the best worldschooling day ever. Every step was another geologic wonder, and every rock we overturned had a fossil or crystal that was cooler than the last. Prepared with fossil guides, acid for testing rocks, and historical knowledge of the pictographs in the canyon, our guide made sure we got the most out of our tour. We hiked all the way back to the waterfall of Grotto Canyon where we relaxed, found EVEN MORE fossils and had snacks. Gabrielle, made the hike just as fascinating for the kids as for the adults and took great care every step of the way. 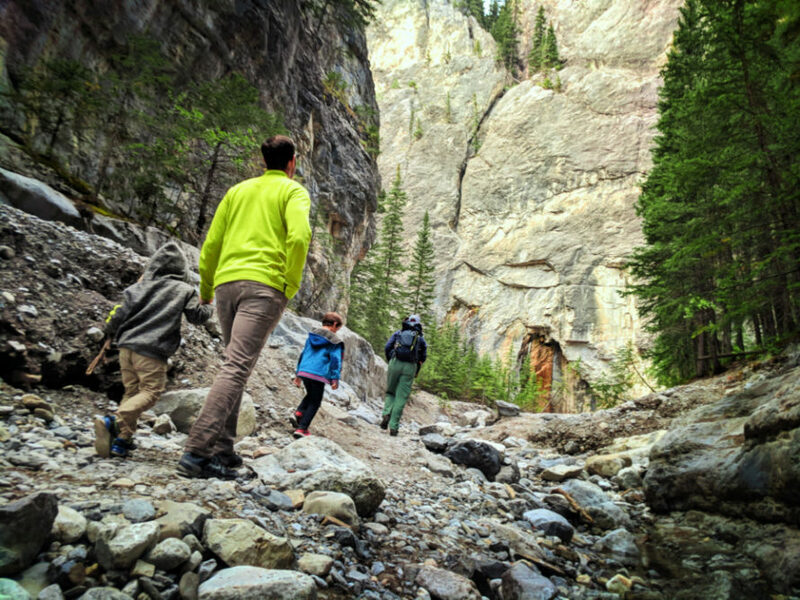 Kid-friendly rating: 10 – the hike’s difficulty wasn’t bad at all and the sites and learning kept the kids fully engaged at all times. 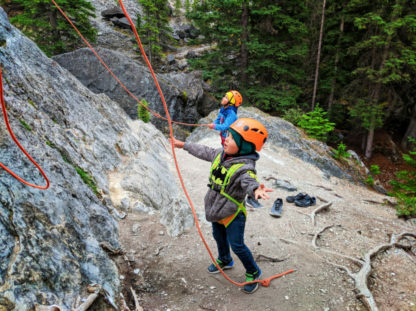 When Adventure Hub said that they were adding some family rock climbing to our itinerary we really were shocked and didn’t even know what to make of it. We’re tough dudes though and knew that we could make it work together, and it did! 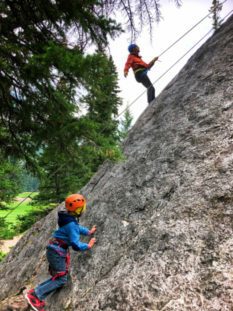 Rock climbing is an interesting type of ecotour in that when done properly it’s a low to zero impact activity. 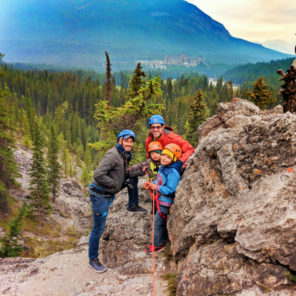 If you’ve not tried it before, rock climbing is a top recommendation for ecotours in Banff. We went up to Rundle Rock with Ridgeline Guiding to both learn the basics and actually go rock climbing in Banff National Park. Success! 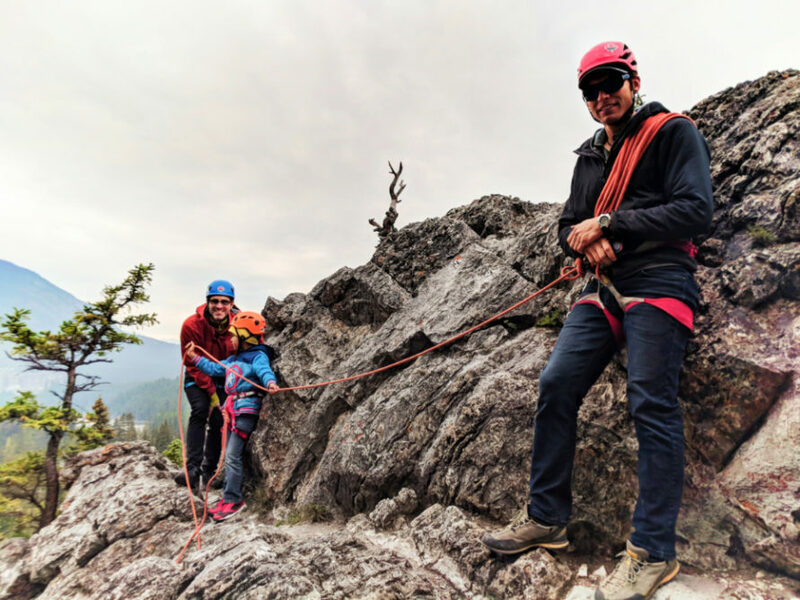 Patrick, the owner of Ridgeline Guiding, was amazing at both teaching us dads the technical and safety side of climbing and showing the kids how to scale the rocks safely and have fun. 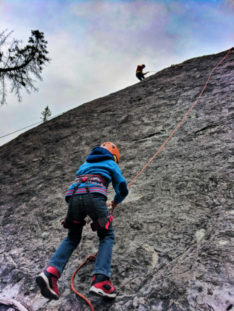 To create some kid-friendly rock climbing experiences Patrick guided us all, and at times just the kids, across boulders and up steep terrain, fully in climbing harnesses. It was a great confidence builder for the kids. We had an awesome time, all four of us, doing a completely new activity and getting some sweeping views from atop the rocks. Really amazing! Thank you Ridgeline Guiding!!! 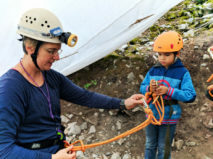 Kid-friendly rating: 7 – for bigger kids this is a great activity, both for learning and for experienced kids. For smaller kids it may seem daunting, but it’s doable. 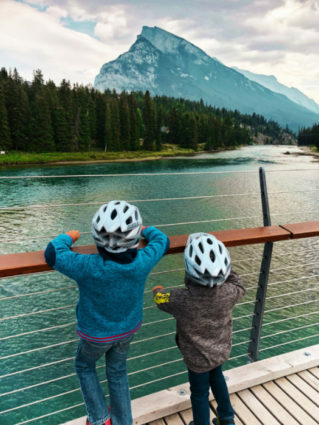 Biking is always a favorite activity for us; in Banff or anywhere else it’s a great DIY ecotour. But have you tried a pedi-cab? 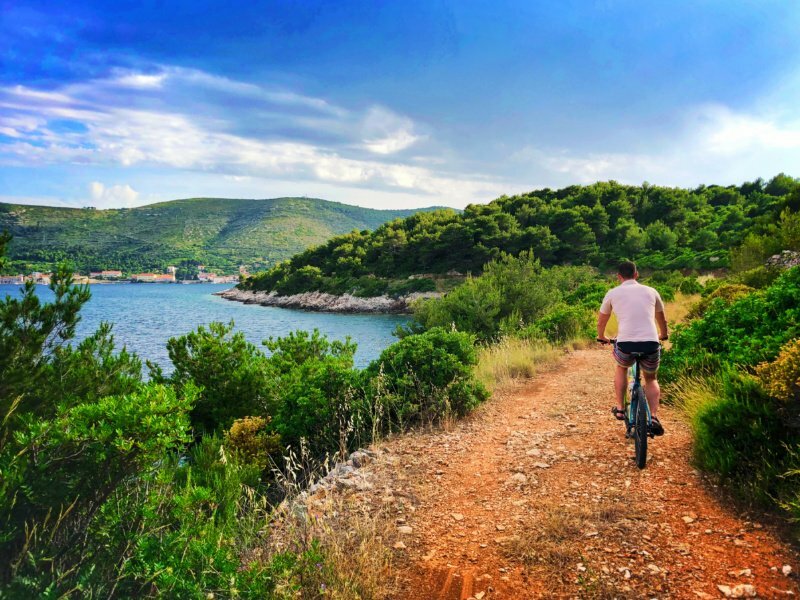 It’s a biking adventure where somebody else pulls you behind. Genius and a nice break in our busy itinerary. After a busy morning of rock climbing, we grabbed some lunch from Waldhaus Pub above Bow Falls, an iconic sight in Banff National Park. The pub is a part of the Banff Springs Hotel, which is where we met our tour guide to check out the town of Banff and go out to the Vermilion Lakes. 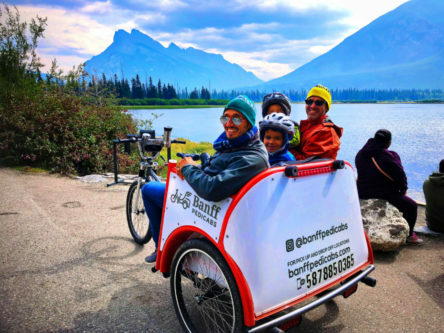 Banff Pedicabs is a really cool, really unusual way to experience Banff. 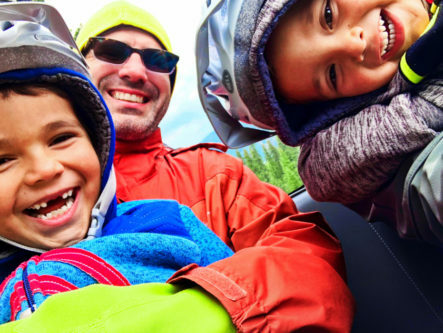 Starting in town, rolling through the neighborhoods and then heading out to one of the natural wonders of Banff, it was great to experience with the kids. We saw deer, osprey and tourists, but got to roll past all of them in peace. Our tour guide, David, was a wealth of information about Banff, about nature, and loved to share his Canadian stories with us. I don’t know why we haven’t done more pedicab tours in all of our travels. 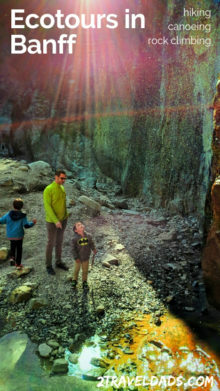 It was a great family activity and was wonderfully relaxing after a day of rock climbing. Getting on the water is one of the best ways to change your perspective in a destination, and rafting in Banff just had to happen. Our Adventure Hub itinerary included a late afternoon float with Canmore Raft Tours. If you’re not familiary, a float trip is very different from a rafting trip in that it’s very mellow and you’re not doing anything bigger than Class 1 rapids (typically). That makes it a very kid-friendly activity. 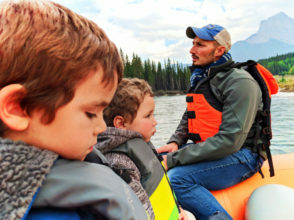 Canmore Raft Tours was the perfect fit with our family. Ecotours that focus on sharing the importance of low-impact travel while still giving an immersive experience are exactly what we look for, which is why we love rafting and floating. Our guide was very knowledgable about Banff and the Bow Valley, and her passion for nature was clear. 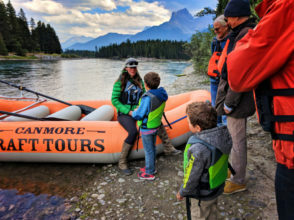 On our next trip to Banff, we aim to do some more fast passed rafting adventures with Canmore Raft Tours (or whoever Adventure Hub is working with then). 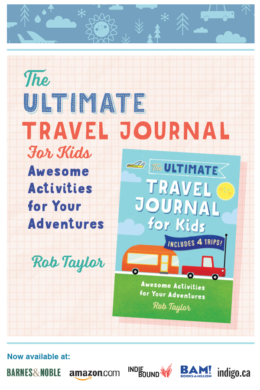 Kid-friendly rating: 10 – I know, we rate everything very highly, but with our Adventure Hub itinerary we had perfectly tailored experiences. 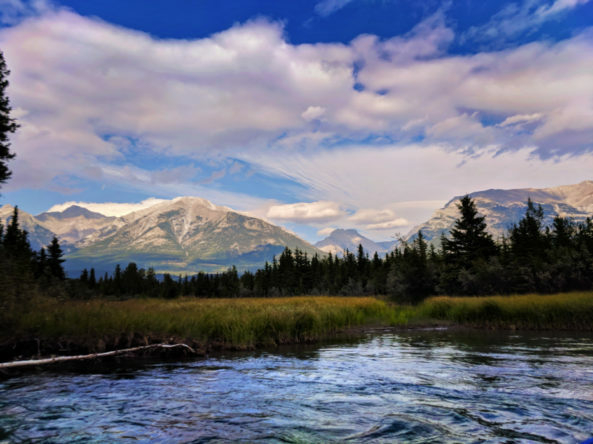 In addition to the really cool, thoughtful ecotours in Banff and Canmore that we shared, Adventure Hub has also partnered with several other tour providers. Whether you’re looking for a sustainable distillery (we loved Wildlife Distillery) or hoping to spend some time with sled dogs, there are a bunch more choices that you can book. We didn’t have time to do the e-scavengers hunts or other guided hikes, but next time we’re in Banff or Canmore, we’re on them!! Can you tell we had an incredible time? Like we said, we partnered with Adventure Hub so were able to experience all kinds of tours. When you’re planning your own trip, keep your budget and energy levels in mind. For sure, have a blast and do everything you can, but save some time for relaxation. Ecotours in Banff is for sure the way to go. 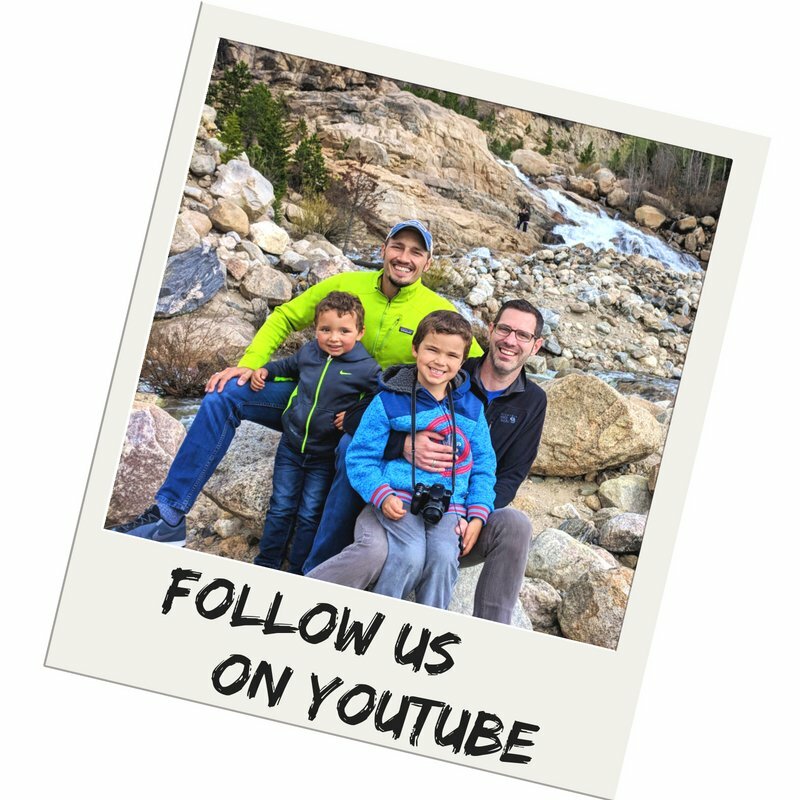 If you have any questions, feel free to reach back out to us or to the awesome crew at Adventure Hub. 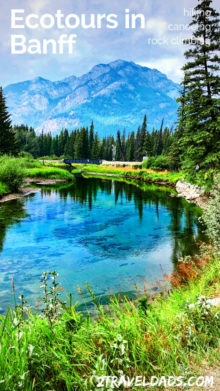 And want to pin this for your own travel planning to Banff and Canmore? Go for it!!! Yes! I really wish the brand/concept was in more destinations, because between the variety of activities and the vetted providers, it gave us a trustworthy, quality experience across the board. Really, this central system for finding reputable travel vendors is perfect. We have two kids 2 and 3.5, what time of year would you recommend heading here? Hey there! If you can plan a trip for late spring, perhaps May, you should be able to beat the crowds for the most part and the wildlife should be fairly active, including moose calves if you’re in the right area. Mid September would be our second recommendation, as it’s just when the weather is going fully into fall and the crowds are starting to slow.